Before Johnny Depp became a household name starring in some of Hollywood’s most loved films, he lived in 20 different places. Originally from Kentucky, where he was born, he was one of four children. 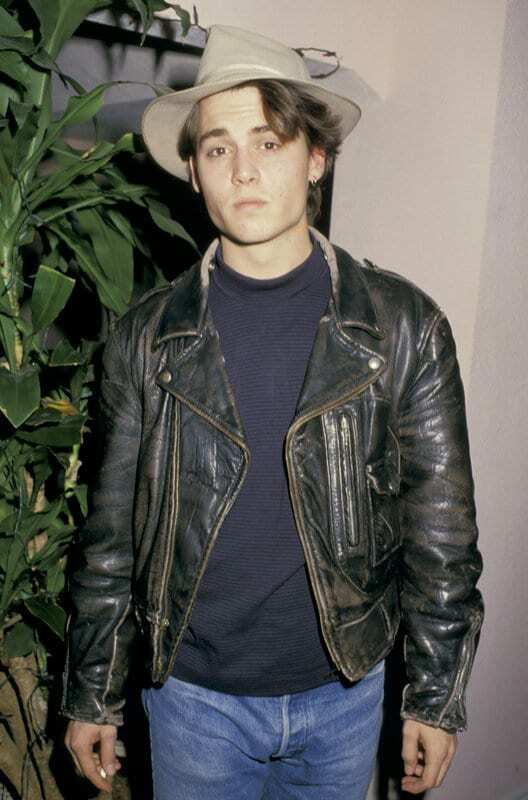 His parents divorced when he was 12 though his mother went on to marry a man that Depp referred to as a huge inspiration. The family eventually settled in Florida at the beginning of the 70s in a town called Miramar. To read what happened next in Johnny Depp’s life, click more. Depp’s first love had been a guitar but was persuaded to turn his hand to acting by Nicholas Cage whom he met through his first wife who was a make up artist. His early film roles saw him cast as a teen idol given his handsome good looks. It was his turn in the series 21 Jump Street that cemented his place as an actor that so many teenage girls and women lusted after. He refers to his part as something that “forced him into the role of product”. 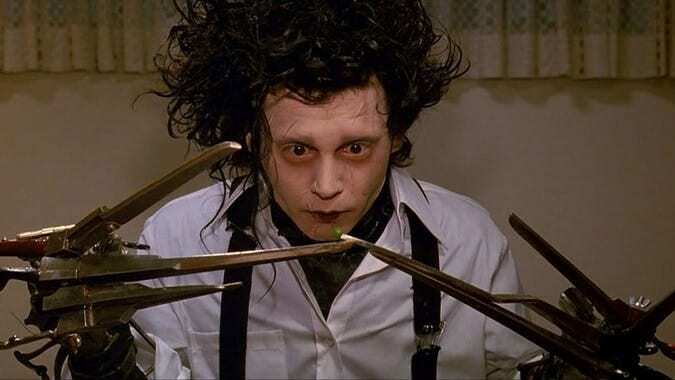 Edward Scissorhands was a huge cult film directed by Tim Burton – a director that Depp went on to work with on numerous occasions after they finished filming in the late 80s. Released in 1990, it was both critically acclaimed as well as a smash hit in the box office. Additionally, it helped Depp move away from the pretty boy roles he had initially been cast in up until that point, given that he was heavily made up in ghostly white makeup with black lipstick and a crazy hairstyle. Johnny Depp and Winona Ryder were a couple who began dating after he met her on set of the film Edward Scissorhands. The pair went on to become engaged and he even had a tattoo inked on his right arm saying ‘Winona Forever’. The pair never made it down the aisle for reasons the press could only speculate about. To take care of the tattoo he had done, he adapted it simply to say Wino Forever – a nod to his love affair with wine. Johnny Depp began dating the British supermodel, Kate Moss in the mid 90s. 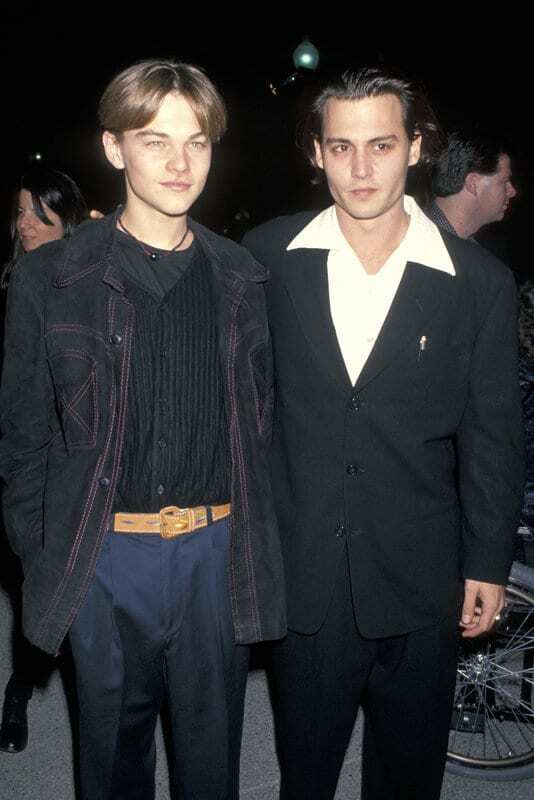 The pair were together for four years and often graced the red carpet together. They were a media favourite owing to their good looks and unique personal styles. Moss has since said that she was completely destroyed by the break up, though it remains a mystery why the couple called time on their lengthy relationship. Click next to find out what happened next in Johnny Depp’s colourful life. 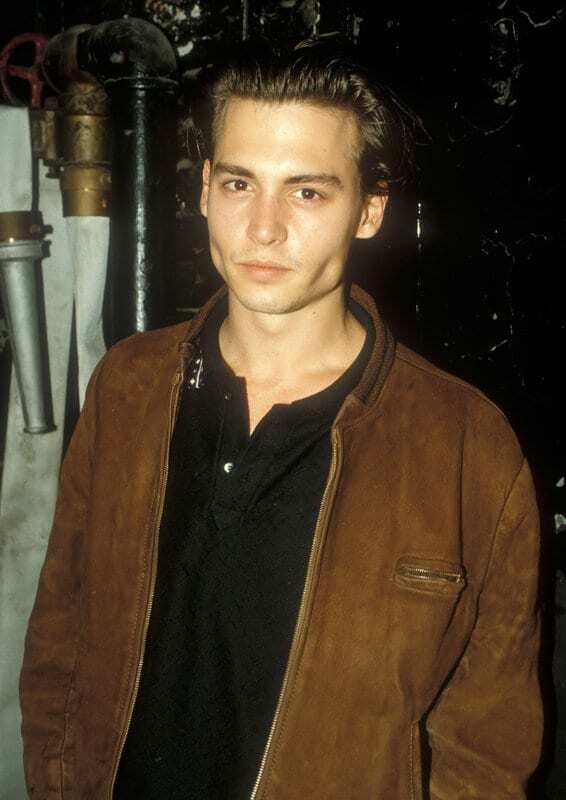 Along with Edward Scissorhands, one of Depp’s stand out films when he was establishing himself as a serious actor, who was more than just a pair of cheekbones, was his appearance in What’s Eating Gilbert Grape. The film also starred Hollywood greats, Leonardo DiCaprio and Juliette Lewis, who both played the parts of narrating a story about a dysfunctional family. Depp gave an understated but sensitive portrayal of the lead character in what became a smash hit at the box office. Johnny Depp is a talented actor – there is no denying it when you see the range of characters he has successfully played in the past. In fact, he has been nominated for many awards in the past, including Golden Globes and Oscars – for which he has been nominated three times. He won a Golden Globe for his portrayal of Sweeney Todd and The Screen Actors Guild awarded him for his turn as Jack Sparrow. He is therefore one of Hollywood’s most bankable stars. Soon after Depp broke up with Kate Moss, he began dating another model, Vanessa Paradis. Paradis was also an actress and singer and originally hails from France. He met her whilst on the set of the film The Ninth Gate in 1998 in which they both starred. The pair never married even though they were together for almost 15 years. They had two children together – a girl and a boy. Their daughter, Lily-Rose, is currently making waves in the fashion industry as a model. Depp and Vanessa Paradis, whilst no longer together, are devoted parents to their two children, Jack and Lily-Rose. Sadly, in 2007 whilst in the UK with her father, Lily-Rose contracted a serious infection which left her with temporary kidney failure. She was admitted to Great Ormond Street Hospital. The children’s hospital nursed Lily-Rose back to health. To show his appreciation, Depp dressed up as Captain Jack Sparrow and read stories to children on many of the hospital’s wards for over four hours. One band who are prone to spending a great deal of time in the tabloid headlines, like Depp, are Oasis. The two brothers who started the band, Noel and Liam Gallagher, reportedly no longer speak so the band have disbanded. Prior to their breaking up, they asked Johnny Depp to record music with them for their third album, Be Here Now. He agreed and so can be heard playing the slide guitar on Fade In-Out and on Fade Away, which was a B side to the single Don’t Go Away. Without doubt, Depp is most famously known for his role as Captain Jack Sparrow in the runaway smash hit, Pirates of the Caribbean. 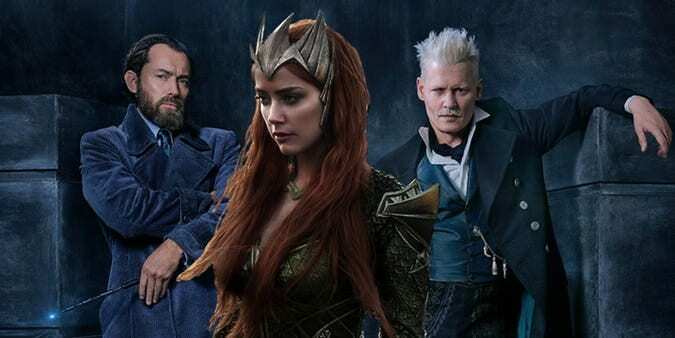 Disney soon made the original movie into a franchise with multiple sequels now having been made to the first one that starred Depp, Keira Knightley and Orlando Bloom, amongst others. Crowds loved Depp’s crazy character who was at the center of the film. 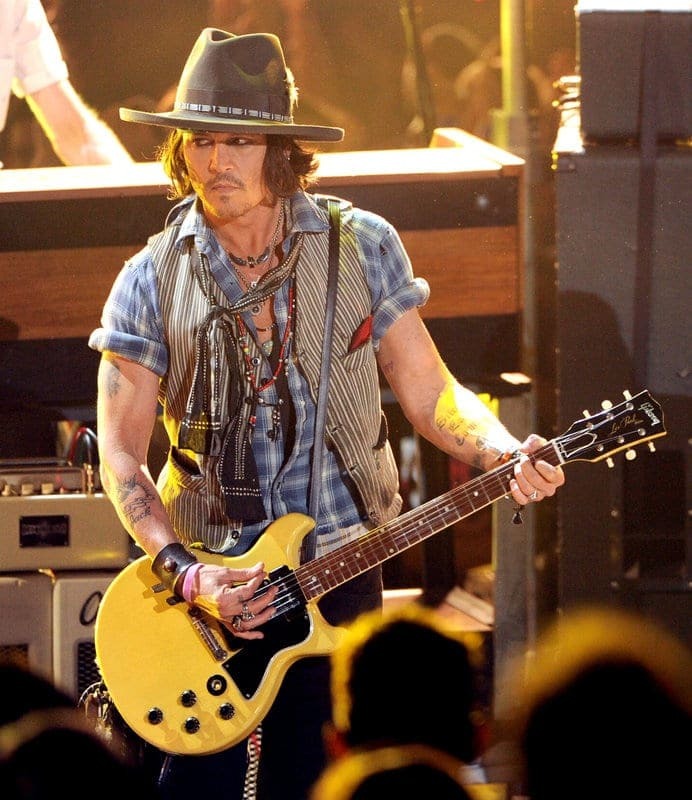 Depp reportedly based the character’s hilarious mannerisms on Keith Richards from The Rolling Stones, who later went on to star in a sequel. Rumors of Depp’s extravagant ways have made it to the tabloid newspapers on numerous occasions over the years. One of his recent appearances was following an interview in Rolling Stone magazine where they quizzed him about his reported $30,000 a month wine habit. As opposed to shooting the rumor down, he balked at the idea that it would be so low and said that it would be much much more. Given his aforementioned tattoo, Wino Forever, it isn’t ridiculous to think that he is speaking the truth! With several successful films under his belt with over 25 years acting experience in Hollywood, Johnny Depp purchased an island in the Bahamas where his family could holiday without being disturbed by fans – plus he had earned millions by then. He still owns the island despite rumors of financial difficulty. 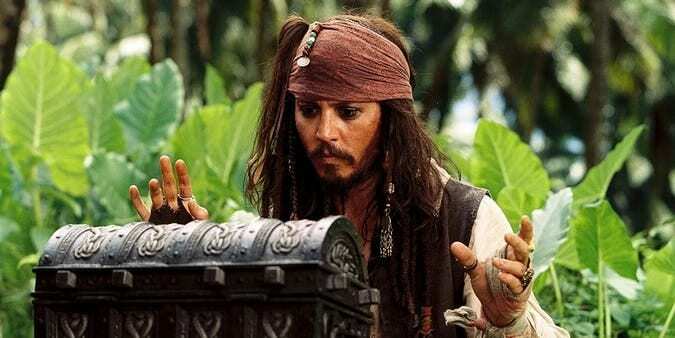 He reportedly purchased it having seen it for sale whilst he was filming the first Pirates of The Caribbean movie. They were mostly shot near the Bahamas. Click next to see what else has happened in Depp’s life. Despite starting out in Hollywood with a clean cut image, Depp’s appearance has become much more rugged over the years. His reported alcohol and drug abuse has apparently gone into overdrive in the last few years. He claims that after dabbling with drink and drugs from the age of 12, he stopped drinking in 2013. He has since gone back on the bottle with his now ex wife, Amber Heard, claiming that he would go on long binges including both booze and drugs. Before his now notorious break down of his marriage to Amber Heard, the pair were meant to have fallen in love exceedingly quickly. 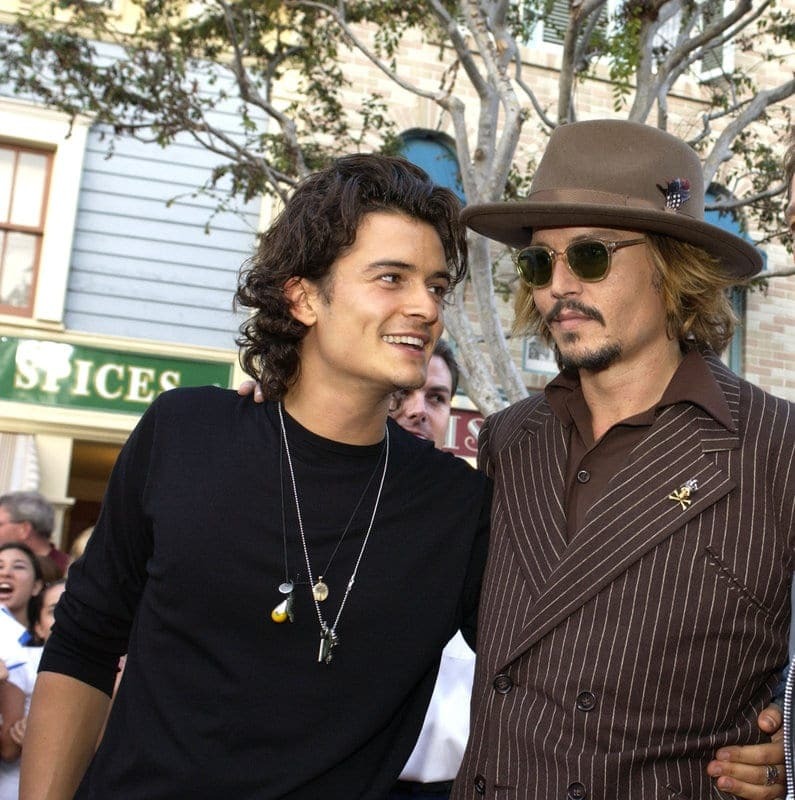 They originally met on the set of their film The Rum Diary in 2011, which sees them both playing each other’s lover. They were both, at the time, in other serious relationships. Depp was still with Vanessa Paradis and she was with her girlfriend, Tasya Van Ree. Didn’t know that? Click on to find out more facts about Johnny Depp. In an effort to be romantic on first dates, gentlemen sometimes turn up to their date’s front door with a bunch of beautiful flowers. Not if you are successful actor like Johnny Depp though. Having got wind of the act that Amber Heard loved horses and all things equine, he bought her own horse. He does, in fact, own his own horse farm in the state of Kentucky so he was well placed to give his would be girlfriend such a present. The then loved up couple eventually got engaged and soon married in a private ceremony in their home in Los Angeles. It was a small intimate affair and so they also invited a whole host of family and friends to his island in the Bahamas to celebrate their marriage. They tied the knot in 2015, reportedly without a prenuptial agreement which apparently angered Depp’s sister who was worried about Heard’s intentions towards her brother. Click next to see what happened during their marriage. With Depp’s behavior becoming more and more strange, either in public, or on the rumor mill, there started to be grumblings that Heard and Depp’s relationship was not a marriage made in heaven. Instead, reports emerged that he was both emotionally and physically abusive to his new wife. A text message conversation between her and his assistant came to light, from before they wed, with her asserting that he kicked her repeatedly with reckless abandon. He has always strongly denied her domestic abuse claims. Despite both Vanessa Paradis and his children denying that he ever raised a hand to any of them, a video was leaked to the press, secretly filmed by Heard, of Depp in a drunken stupor aggressively shouting at his then wife and smashing things in their kitchen. It was also reported that a friend called 911 to report an altercation between Heard and Depp at their home. Heard publicly said that it was only a verbal dispute, though she went on give a statement that said otherwise. 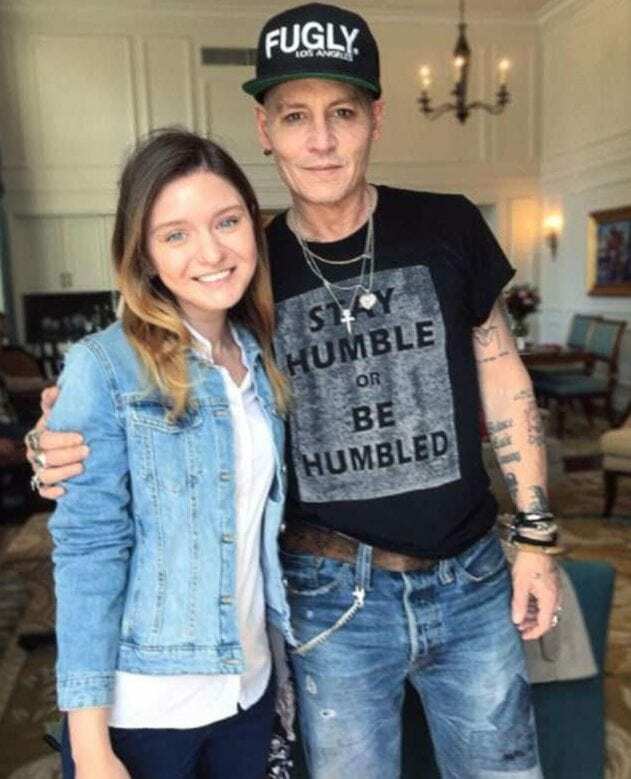 One of the main driving forces that was believed to be behind the breakdown of Heard and Depp’s marriage, was meant to be his irrational jealousy of her and anyone she talked to. This came to a head when she was filming a movie with Billy Bob Thornton as one of her co stars. He reportedly became exceedingly angry when he convinced himself that she was having an affair with him. There were rumors on both sides that this was in fact true, though Thornton has always denied it. In one of the stranger stories to have emerged from this short marriage is the incident with their dogs. 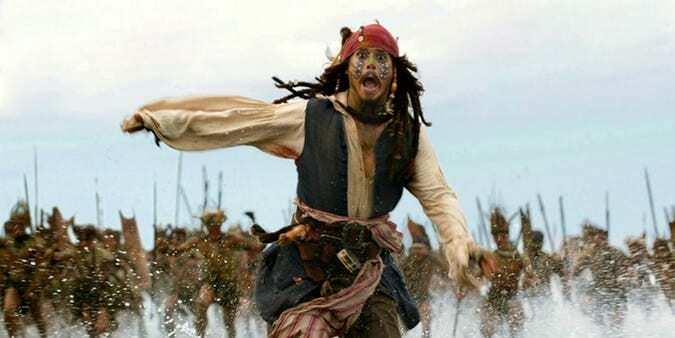 Depp was filming off the East coast of Australia for one of the sequels to Pirates of the Caribbean. Heard had gone with him and they had taken their dogs with them. This soon came to light to the local quarantine who charged the couple with illegally importing their dogs and thus exposing Australia to a biosecurity hazard. The pair had to make a video confessing to their misdemeanor. Towards the end of the marriage, Heard threw a birthday party for herself in 2016. At the time, rumors were rife of Depp’s repeated drug and alcohol abuse that caused his behavior to be highly erratic. He turned up to her party just as it was coming to an end. He is meant to have been drunk and high. An argument is reported to have ensued which escalated to such a point that she claimed he threw a bottle of champagne towards a wall and a glass at her. Eventually the rumors of all the trouble in Paradise that the pair were having, came true. Heard filed for divorce from Depp just over a year into their marriage. There was a great deal of mudslinging during the trial, with Heard turning up to one of the hearings with clear bruises and scratches on her face. Past images also emerged of prior abuse instances. Surprised? To read more about Depp’s current demise, keep on clicking for more stories from his failed marriage and financial difficulties. In addition to filing for divorce, just five days later, Amber Heard managed to obtain a restraining order against Depp. He had to stay 100 feet away from her or face criminal charges. She used the prior instances of domestic abuse as reasons behind the order – instances that had witnesses despite her prior claims that the 911 call from a friend had been over a verbal dispute only, not a physical one. She also claimed that Depp’s behavior towards her worsened when he had been drinking or taking drugs. Their divorce was soon finalised when a settlement was reached mid way through 2016. Heard had come under a lot of fire by the press claiming that she was a gold digger, particularly given that the pair married without a prenuptial agreement. However, during the divorce proceedings, she gave up her fight for spousal support and pledged to donate any monies that she did receive to a domestic abuse charity and the Children’s Hospital in LA. The amount awarded to Heard from Depp was $7million. Click next for more Depp facts. Depp is largely rumored to have lost most of his fortune, which is supposed to have neared £500 million at one time – with the movies he has starred in having grossed over £2billion worldwide. He is now suing his management company, The Management Group (TMG) for negligence, breach of fiduciary duty and fraud. He claims that the brothers who ran the company paid out large amounts money without his knowledge as well as investing sums for their own profit without giving anything back to the actor. On the flip side of all this are the denials from TMG, run by Joel and Robert Mandel. They claim that the actor’s spending habits are to blame for the deterioration in his fortune. They suggest that he used to have a spending disorder that would see him getting through $2 million a month. They further assert that he never had more than 6 months worth of savings in the bank and would splash out on expensive gifts at the drop of a hat on his children. During his short marriage to Heard, Depp found himself with injuries that his explanations did not always seem to support. 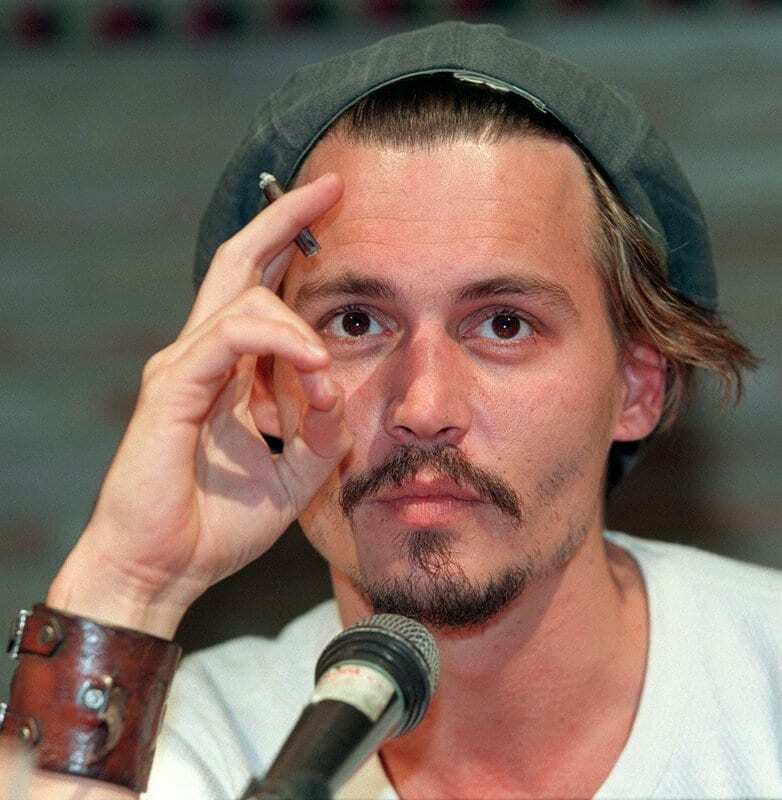 Following his declaration that Heard was having an affair with Billy Bob Thornton, Depp apparently became so angry that he managed to slice off the end of his finger. Not content with hurting himself, he dipped his finger in paint and then went on to write slurs against Thornton and his wife on a mirror. He wrote ‘Starring Billy Bob and Easy Amber’ pointing to her alleged infidelity. One of the reasons that the finger incident had legs when news of it first broke was that it was not the first time he incurred a weird injury. Prior to the Billy Bob finger incident, filming had to be paused on Pirates of The Caribbean as he had hurt his hand badly. It was claimed he had hurt himself on set whilst filming a physically demanding scene. However, it later emerged that his hand injury had come from his hitting a wall when he had become angry with her. He now boasts a very gaunt appearance that is a million moons away from the good-looking actor that first graced our screens in 21 Jump Street. 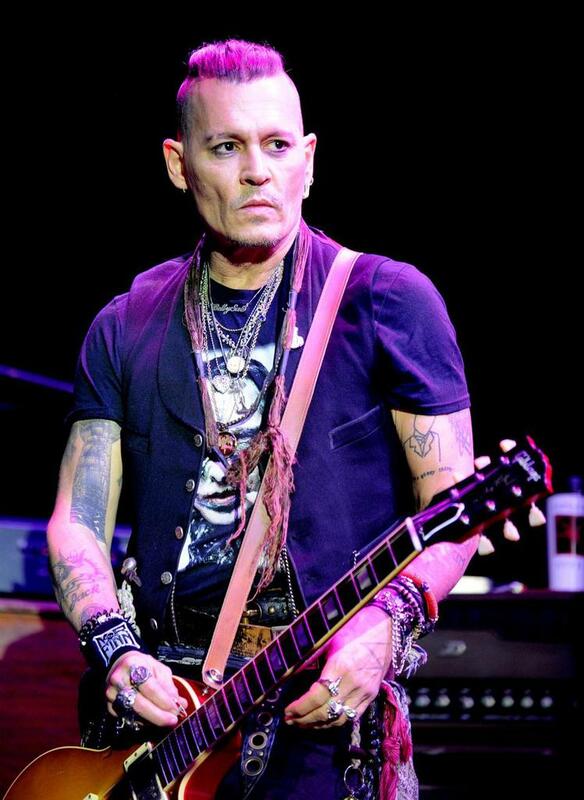 He appeared in pictures on a recent tour with his band, Hollywood Vampires, to much dismay and worry from his fans. Given his much-publicized abuse of drink and drugs, many have jumped to the conclusion that his lifestyle has caught up with him and he is now unwell. Click next to hear the next part of Depp’s story. He claims that he is currently touring with his band to help him get away from all the troubles he has had over the last couple of years. He refers to his divorce proceedings with Heard as one of the lowest points in his life, though it appears that they both subsequently admitted that they did have a fiercely passionate love at one point. Worries abound though that his tour means that he is drinking vodka for breakfast to help him write his memoir. Amid all of this is yet another lawsuit aimed at the Hollywood star, this time by his bodyguards. They claim he did not give them enough time off whilst simultaneously not paying them enough for their work either. 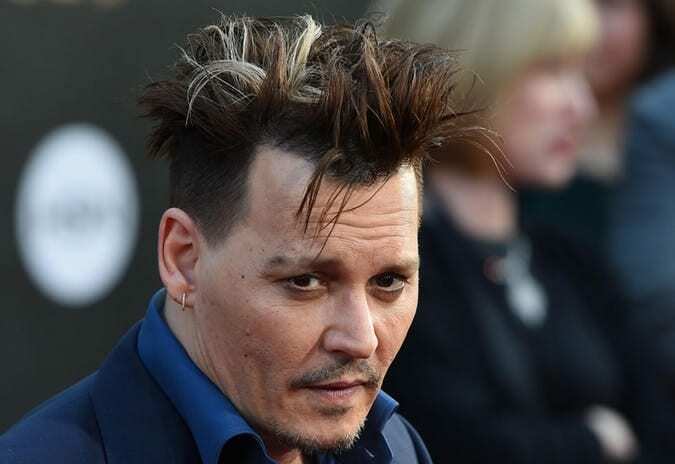 His ex-bodyguards make assertions that they had to babysit Depp at times and mention an instance in a nightclub where they wiped drugs away from his nose so that no one in public saw the state that he had voluntarily got himself into. They were also asked to babysit his children. Sadly, his son appears to be in the midst of a recent health scare too, to add to the actor’s wows. Vanessa Paradis missed the Parisien premiere of the film, A Knife In The Heart, in which she starred in order to be with him. 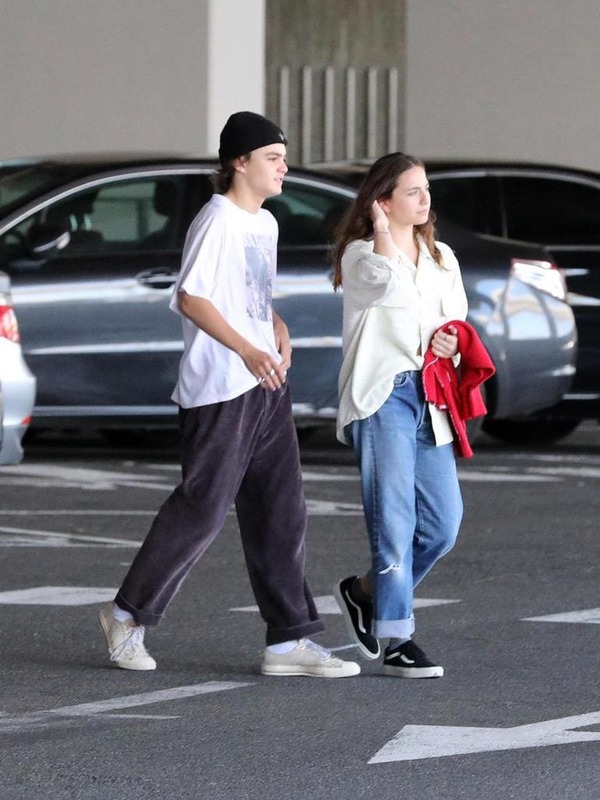 A local French magazine reported her absence as being down to her son’s serious health problems – though neither Paradis or Depp have announced what has troubled John ‘Jack’ Depp. Read on for more about Johnny Depp’s life. Sadly, Depp admits in his eye-opening and shocking interview with Rolling Stone magazine that he has almost totally lost his fortune. Whilst he outwardly seems to be in denial regarding it in every other respect, he also admitted that one of the saddest things about it is that his son heard about his financial woes whilst at school, from his fellow classmates. The interview was said to have taken place over three days whilst Depp stayed in a $10,000 a night mansion in London. 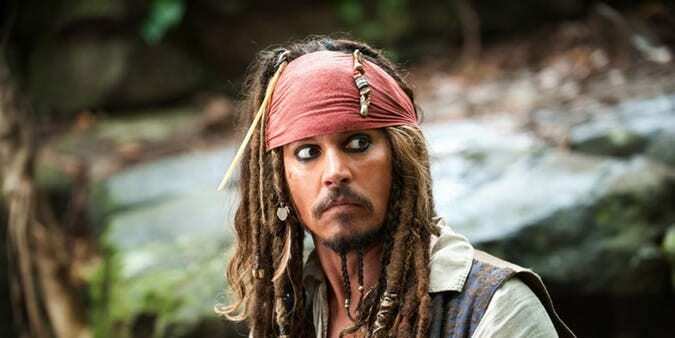 So what next for the Pirates of the Caribbean star? His evident ill health, coupled with the fact that the star is plagued with rumors of his drug and drink binges that stop him working makes it hard to imagine that studio bosses would want to cast him. Plus the allegations that his ex-wife Amber Heard made towards him regarding domestic abuse may make him difficult to hire. It seems a shame however given his evident talent that has made so many of his films box office gold dust.